Time to find some gems! Those that have experienced BattleBlock Theater know that the large assortment of wearable Prisoner heads is a highly sought after commodity. Heck, more than half of the game’s currency is used to purchase those things! If standing out from your co-op buddies is your thing, then this month is a great time to boot up the title and grab some specialty goodies. Players who log into BattleBlock Theater each week between now and the end of August will be able to receive at least one separate Prisoner head automatically. Each one(s) will be only available for one week only, so be sure to make room to play a game or two to grab them. Boot: Where are his eyes again? Moose: The Behemoth sure likes their creatures with antlers, except moose are actually supposed to have them. 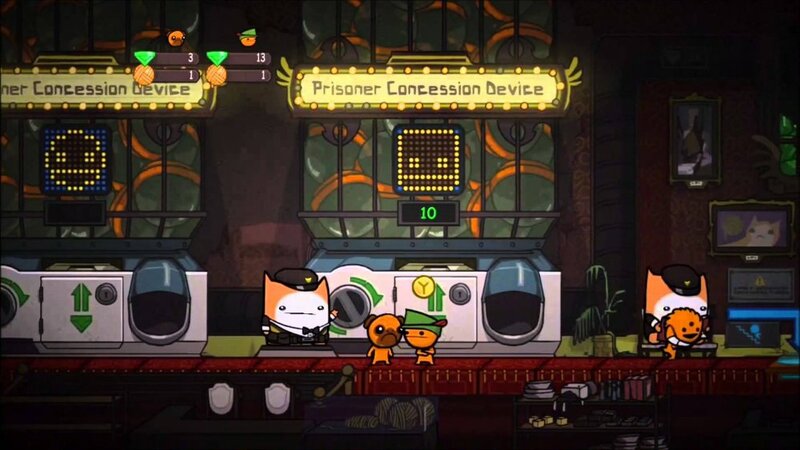 BattleBlock Theater is a fantastic 2-player online/4-player couch co-op title for XBLA, and we highly recommend it to any and all co-op fans of platforming gold.